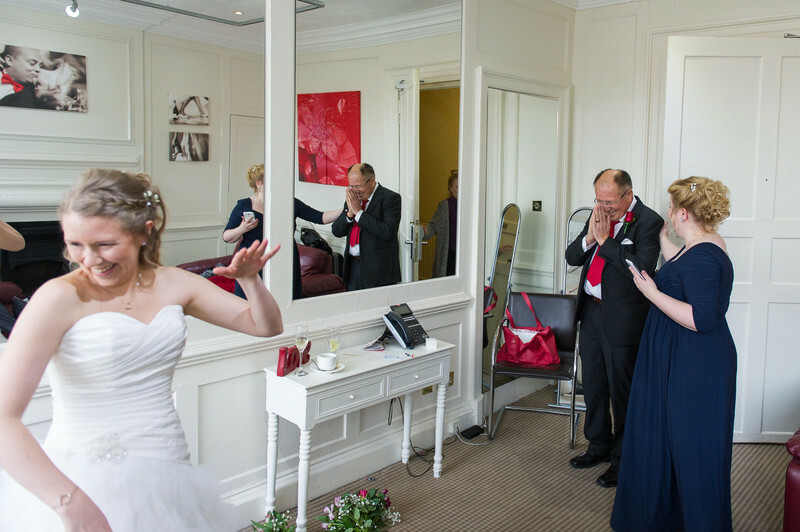 An emotional wedding day photograph from a wedding at the Peak Edge Hotel in Derbyshire. This was the first time the brides father had seen his daughter in here wedding dress and he was quite emotional. Wedding days can be an emotional event but some of the most emotional people on the day are usually the parents of the bride. We have a terrible habit in the UK of trying to remain stone faced as if nothing out of the ordinary is occurring, giving away your daughter and handing over her care to someone else must be one of the most emotional things going, even if they can stand on their own two feet and aren't going far at all! One of my favourite photographs of parental emotion is the one below. While it isn't a particularly stunning photograph for many reasons, there is a huge amount of emotions in the picture as the brides father is overwhelmed as he see his daughter as a bride for the first time. 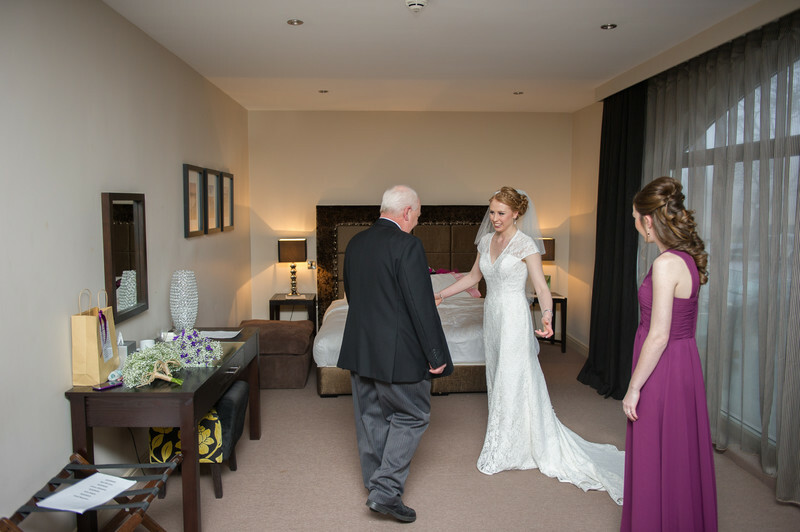 Of course the bride reacts to her father and her chief bridesmaid lays a reassuring hand on the shoulder of her best friends father.